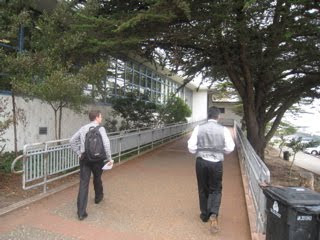 Today we split up and went to visit some of the schools which will attend our Middle School Youth Choral Festival on October 23 in San Francisco. It's always good to get acquainted first. Adam and Eric head to A.P. Giannini Middle School near the beach (which you couldn't see for the fog) in San Francisco. 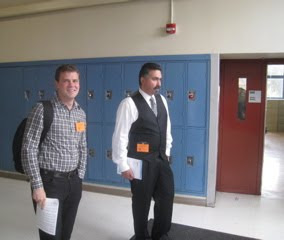 Meanwhile others of us were at Ochoa Middle School in Hayward, and Graham Middle School in Mountain View in the warm California sun. 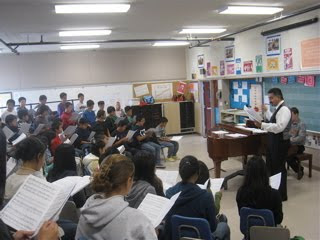 We work with the mixed choir on the songs they will bring to the Festival. 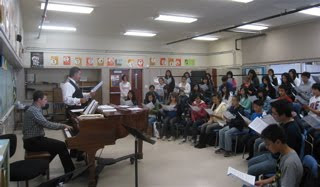 Our Middle School program was founded a few years ago through several generous grants from the Walter and Elise Haas Fund here in San Francisco. 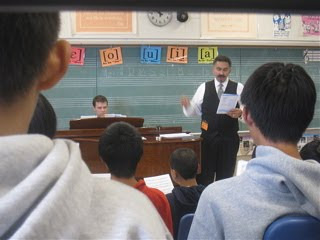 This year our "Open Door" program - which enables us to work directly with music teachers and choir directors - got started thanks again to the Haas Fund, to whom we are always profoundly grateful.